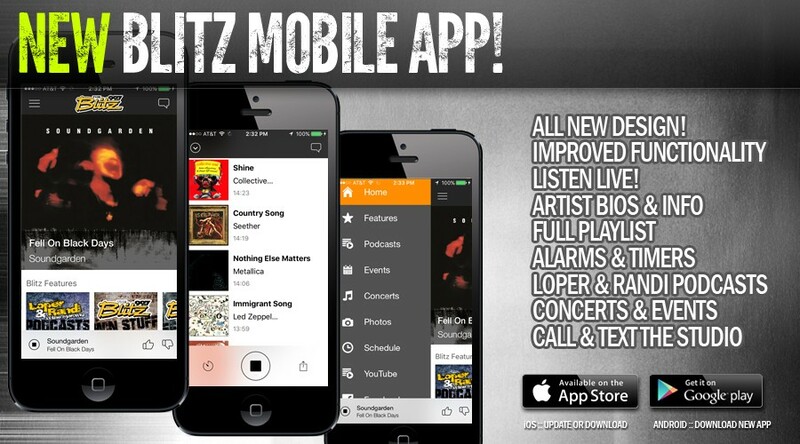 99.7 The Blitz is proud to unleash our new mobile app with a updated design and improved functionality! Listen live to the station, or Loper & Randi Podcasts, get artist info and bios, see our playlists, check out all our contests, events and concerts and much more! It's the Blitz Mobile App from Your Rock Station 99.7 The Blitz!